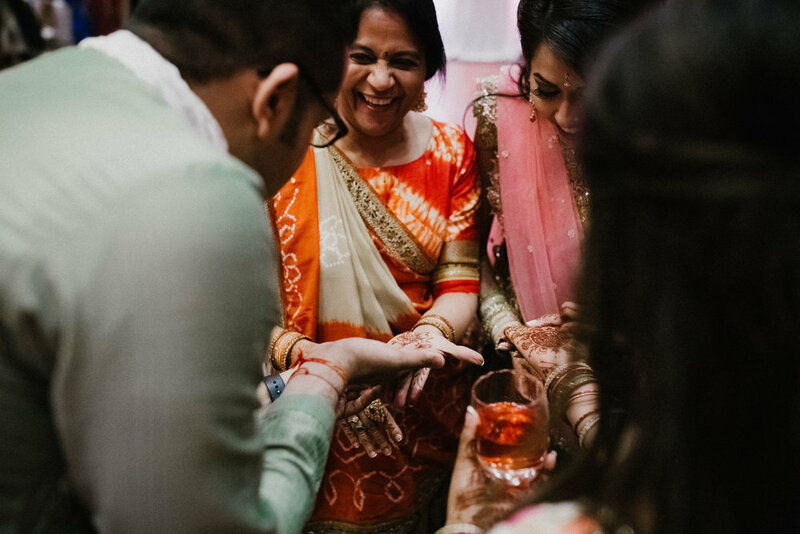 Garba night is arguably, hands down, one of our favorite events during the weekend long Indian wedding festivities. In many instances it's the first night where the majority of both families are able to come together and celebrate with one another the union of the couple. The night is often filled with unending laughter, dancing, AND THE COLORS ARE INDESCRIBABLE! It without a doubt is a night of excitement, parting, and unity. 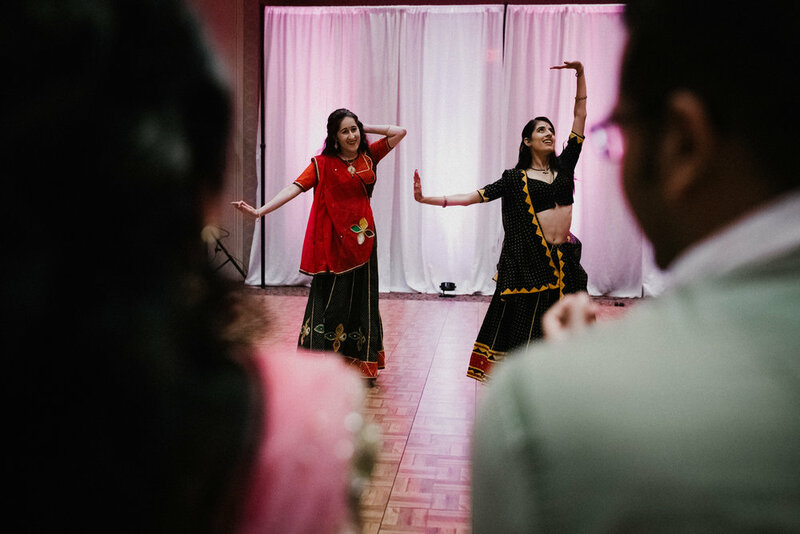 From the rehearsed dance numbers performed by Aparna+Ankit's family and friends, to Aparna's flowing and utterly enrapturing dress, and every other gorgeous sari in that room that night this was one of the major highlights from their weekend for us. And on a day like today when the rain won't let up and it's all gloomy and overcast outside, we could all use some beautiful, swirling technicolored dresses in our lives!